Financing the Classics: Beethoven's Benefactor In the spirit of the gift-giving season, classical music commentator Miles Hoffman discusses the fine art of musical patronage. Composers from the renaissance to Beethoven to Copland have benefited from generous philanthropists. These pieces were financed by music lovers with deep pockets. 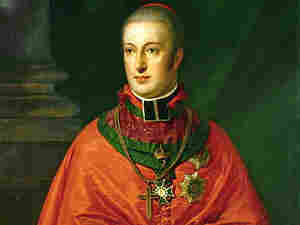 Archduke Rudolph (1788-1831) was both a pupil and a patron of Beethoven. Much of the Western classical music we enjoy today came into being as a result of the patronage system. But that music is really an ongoing gift from the wealthy, music-loving arts enthusiasts of the past, who were willing to pay for its creation. Classical music commentator Miles Hoffman notes that the first and most important patron of the musical arts was the Catholic Church, which for centuries commissioned new works from the best composers of the day. During the Renaissance, one of the most famous beneficiaries of Church patronage was Giovanni Pierluigi da Palestrina, whose masses and motets set the standard for sacred music in Rome. As wealthy members of the European nobility began to crave beautiful music for personal enjoyment in their castles and salons, the practice of patronage gradually expanded into the secular realm. Beethoven, for example, sold some of his compositions from time to time, but still depended heavily on the patronage of wealthy noblemen to make a living. 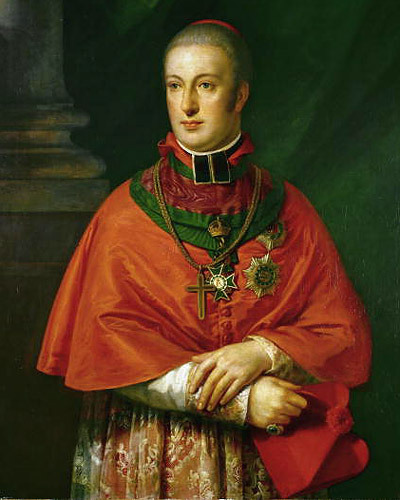 One of Beethoven's biggest fans was his pupil, the Archduke Rudolph, whose extremely generous support allowed the composer to continue living and working in Vienna. Beethoven, in turn, dedicated a number of important works to the Archduke, including the Missa Solemnis, the Piano Concerto No. 5 (the "Emperor"), and a trio for violin, cello and piano, which to this day is known as the "Archduke" Trio. The tradition of patronage has survived to modern times, and continues today. It lives on primarily through commissions of new works, such as Aaron Copland's popular Appalachian Spring, a ballet financed in the early 1940s by the Elisabeth Sprague Coolidge Foundation at the Library of Congress. Another type of "patronage" also lives on in the academic world, where universities give composers an opportunity to both teach and compose while being paid a living wage. Beethoven: Piano Trios "Archduke", "Ghost"